For more information or to schedule an appointment with one of our chiropractors, call us! Established in 1953, Pisk Chiropractic & Physiotherapy PC is the oldest established chiropractic clinic in Northwest Montana. It was voted Best of the Flathead in 2015 and 2016. 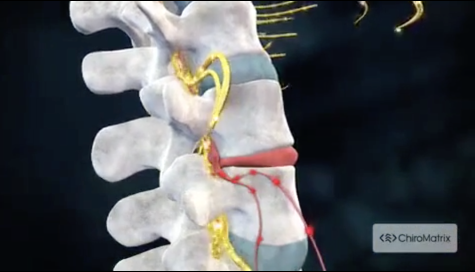 Our chiropractors, and the rest of the team at Pisk Chiropractic, continue to take pride in our patient care. We take the time to evaluate each patient and develop a personal treatment plan as it relates to your individual needs. Along with chiropractic treatments to the back, neck, upper and lower extremities, our clinic offers the latest up to date physiotherapy modalities and rehabilitation. We are committed to providing holistic solutions to address your unique needs. If you’ve been in a car accident, had a work related injury, played too hard or you are looking to improve your overall health, you’ve chosen the right clinic! "Pisk Chiropractic & Physiotherapy, P.C. 's mission is to provide and promote comprehensive chiropractic care to the Flathead Valley and surrounding areas. Our primary focus is the restoration and maintenance of health so that our patients can function at their optimum levels." 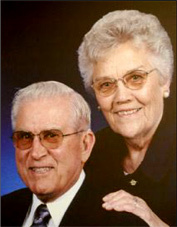 Our practice is dedicated to Dr. Peter and Ella Mae Pisk. Dr. Peter Pisk opened his doors on October 12, 1953, in downtown Kalispell. He built a successful practice that was well-respected for the personal care of each patient. In 1989, his son Dr. Gregory Pisk joined the family practice. In 1990, after 37 years of practice, Dr. Peter Pisk retired and his son, Dr. Gregory Pisk, took over the practice. In 2016, Dr. Adam Pisk, grandson of Peter Pisk, joined the Kalispell office as a third generation chiropractor. "My son Ethan, who is 12 years old, struggles with compulsiveness and nervous motions and is allergic to dairy and eggs. He had an issue with defiance and coordination- as well as anger management. Since seeing Dr. Angie this past 3 months, all areas have greatly improved or, as in the case of rashes and constipation, have discontinued altogether. Ethan’s coordination has totally improved, and his issues with anger management have gotten substantially better as we see more understanding and cooperation." "The serious lack of range of motion in my shoulder had been happening for about 6 months before I came in for treatment with Dr Jesse. I could not lift my left arm very high to reach things on shelves, had a hard time washing my hair and getting dressed. I tried not to move my arm much. My arm even hurt sleeping at night. I had pain if my arm got jerked back which happened sometimes walking the dog. I have been helped tremendously by Dr Jesse. Now I can do all of those things with no pain. Thank you Dr Jesse."